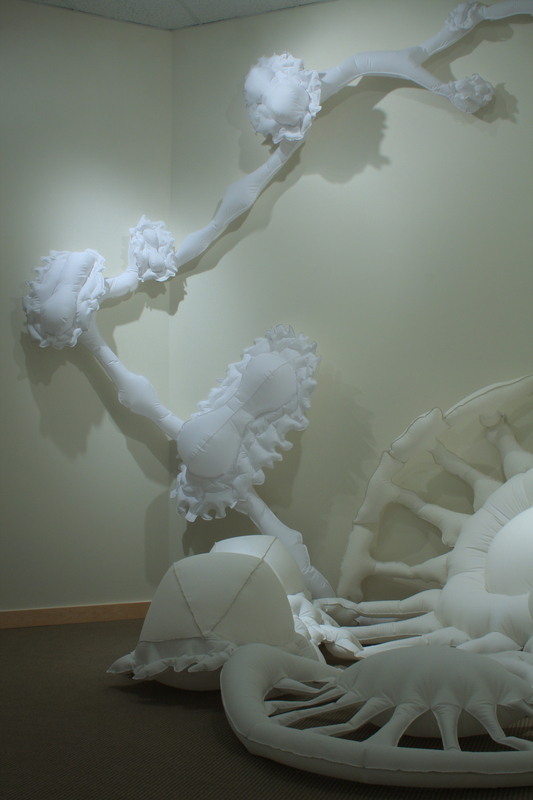 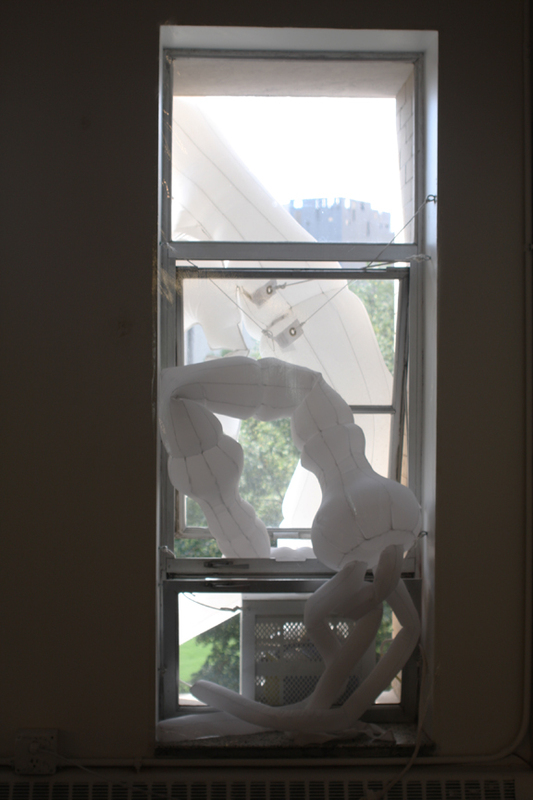 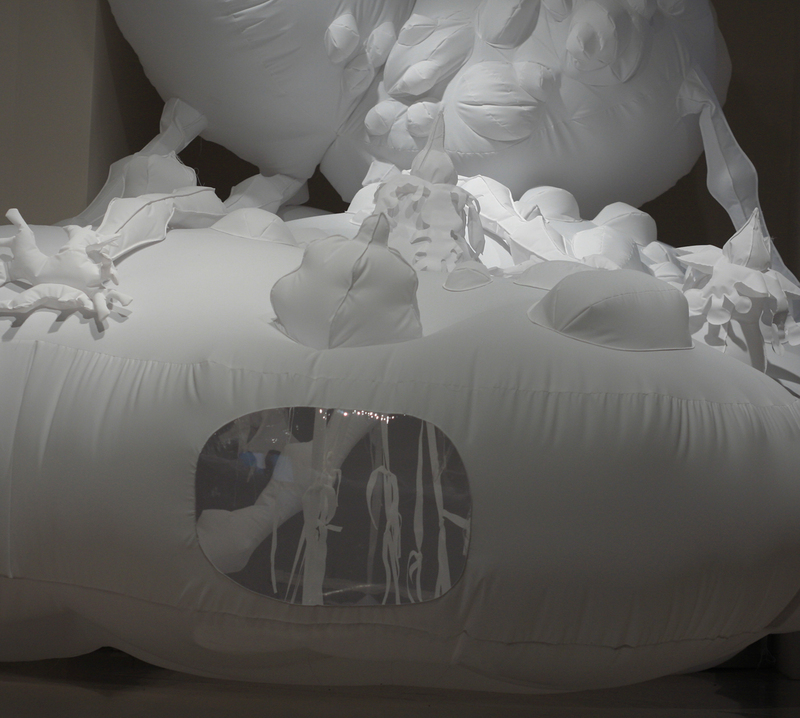 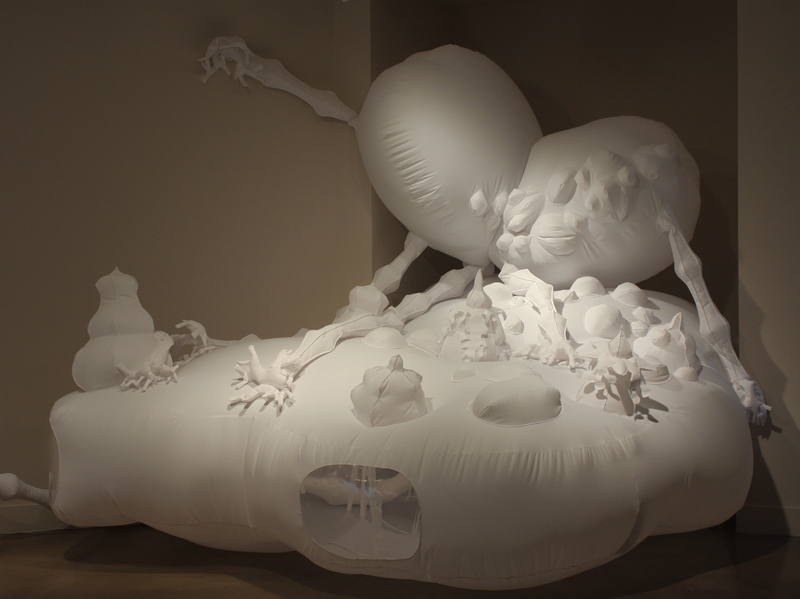 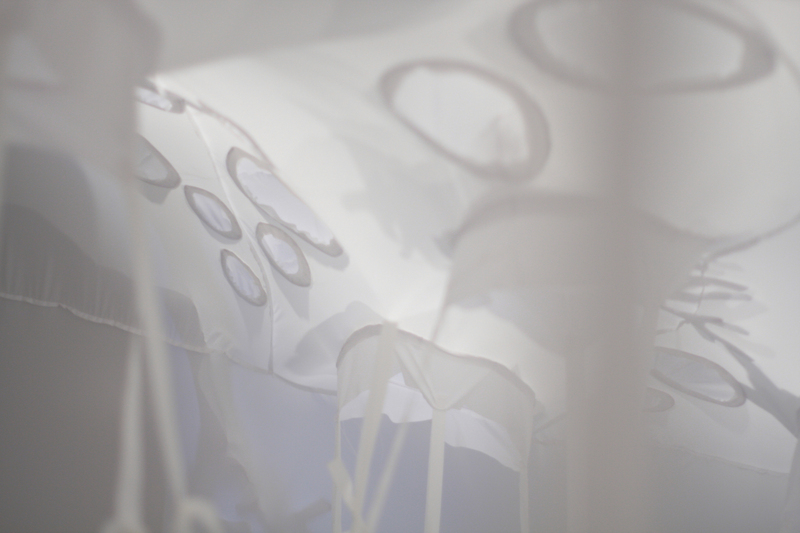 An inflatable installation for the Arvada Center’s Unbound. 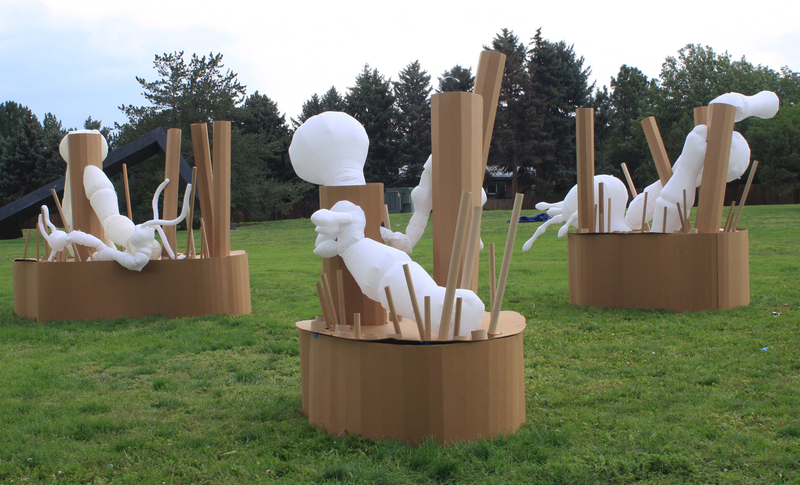 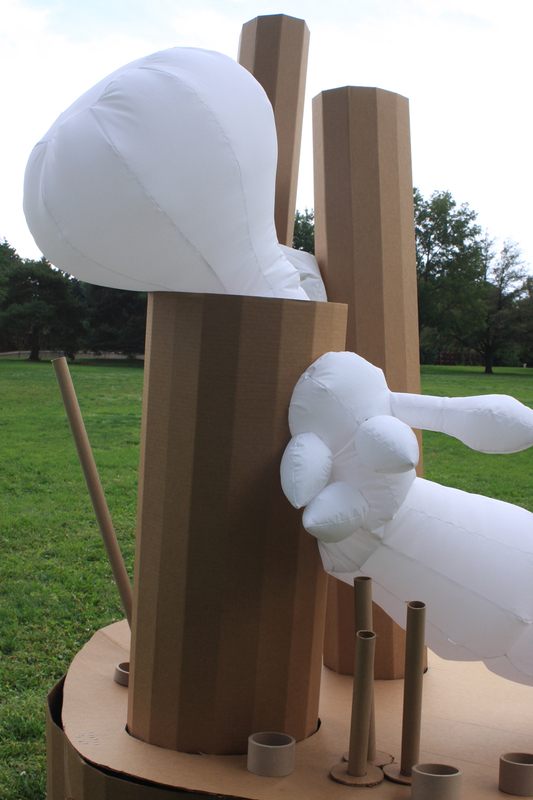 I made these cardboard sculptures as part of a one day sculpture celebration at Burns Park in Denver CO. 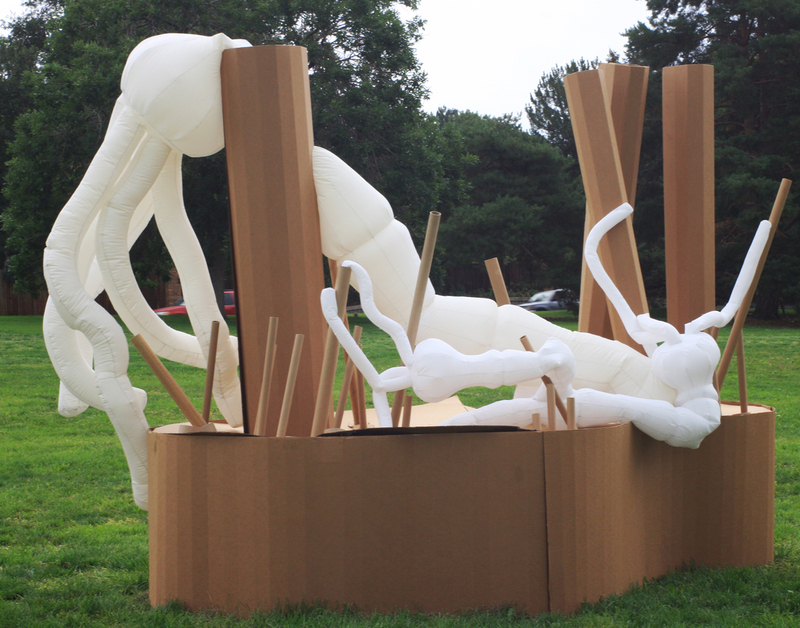 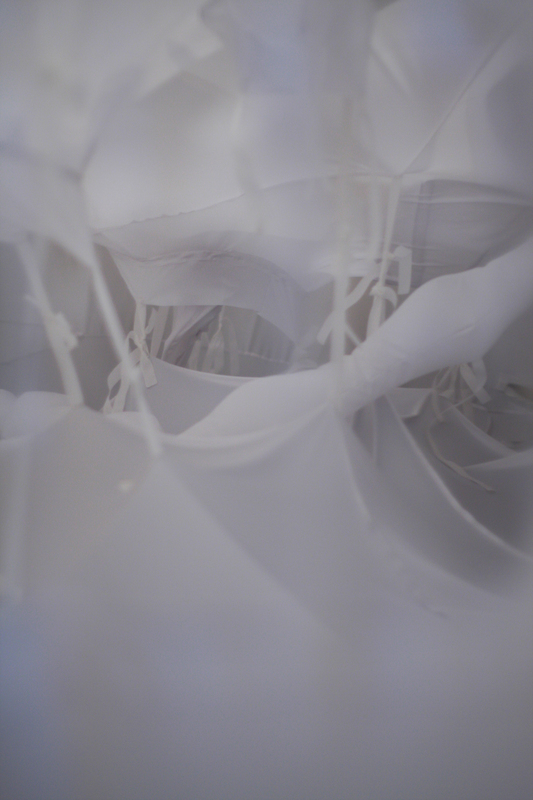 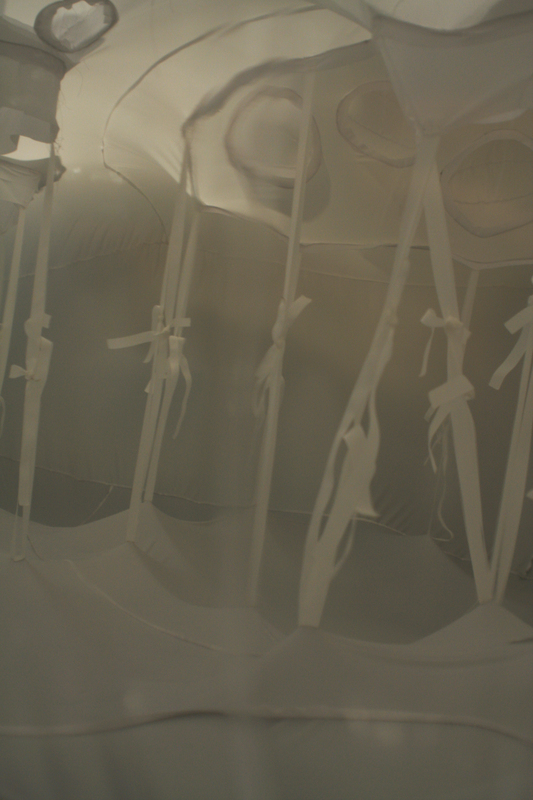 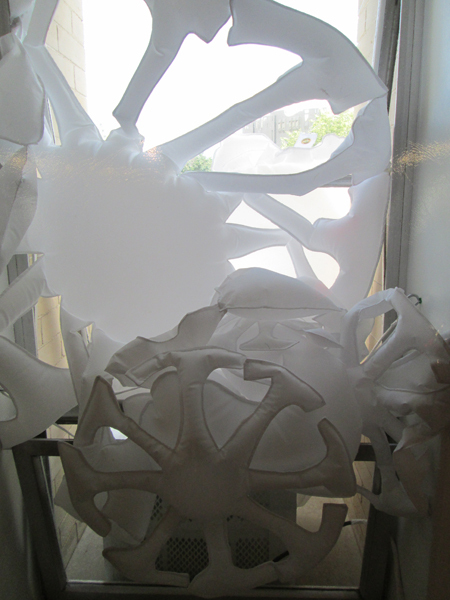 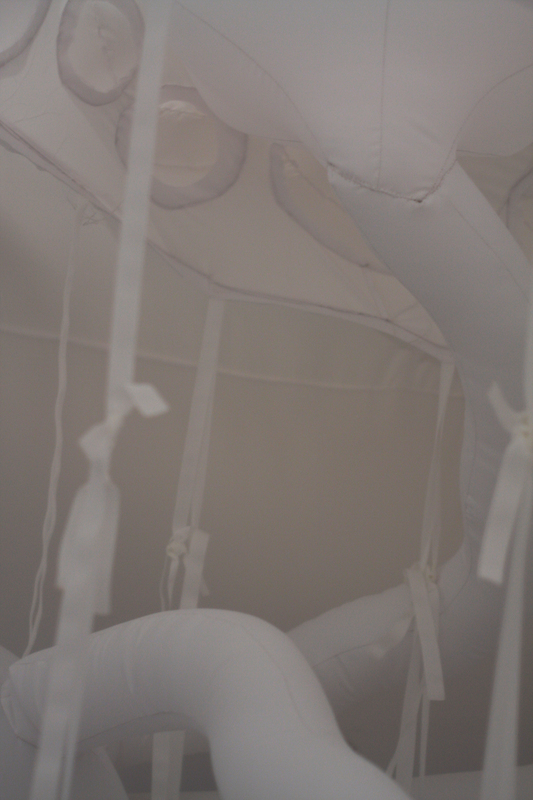 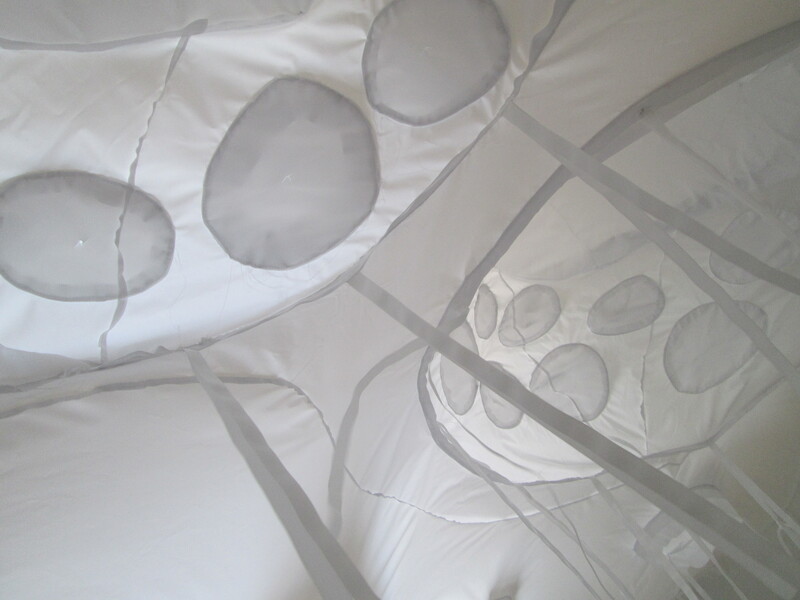 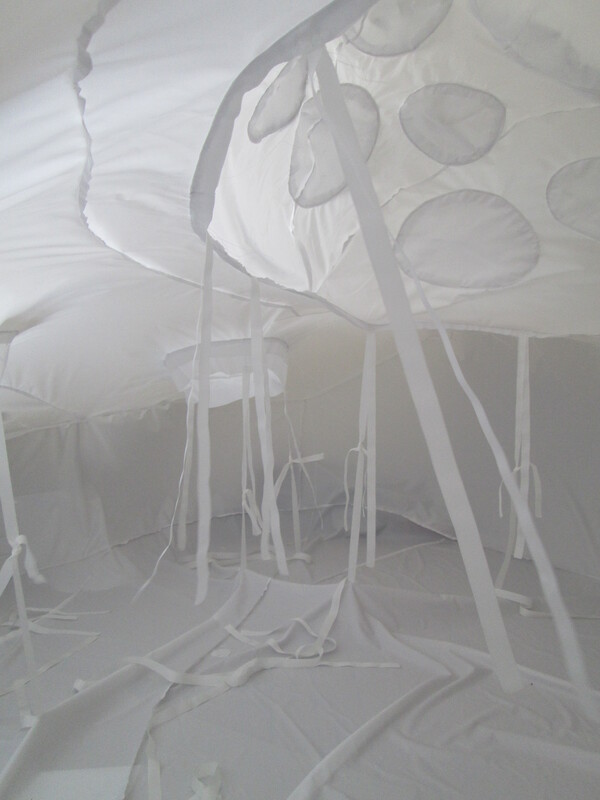 The inflatable bacteria snake in and out of the cardboard structure bursting through and tearing it down as it goes. 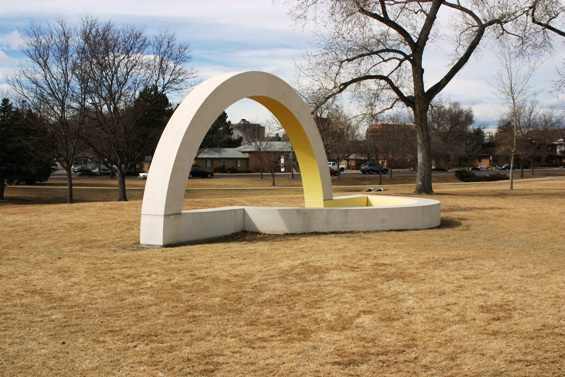 Michael Paglia from the Westword article Five things you Didn’t know about Burns Park. 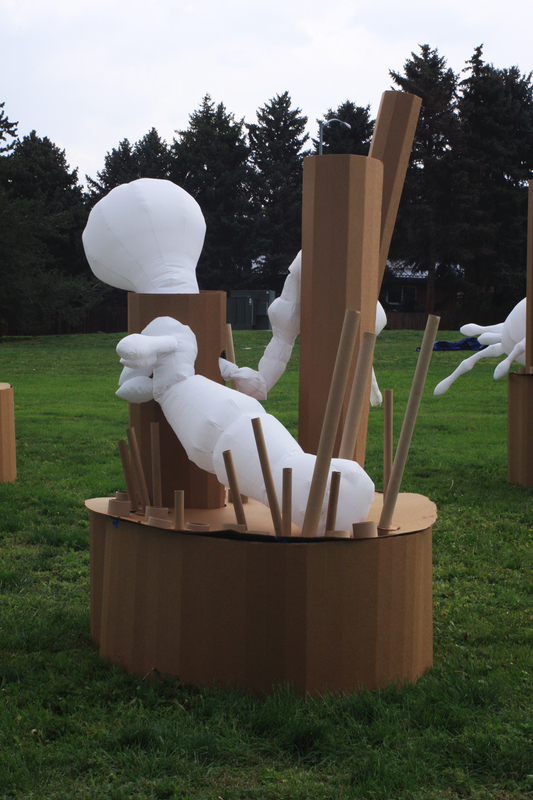 Each of the artists invited to Celebrate 1968 were provided with cardboard to create a temporary artwork in the park. 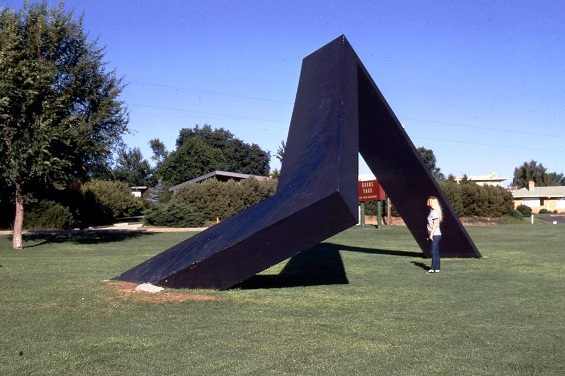 In 1968 the artists all created temporary work using plywood. 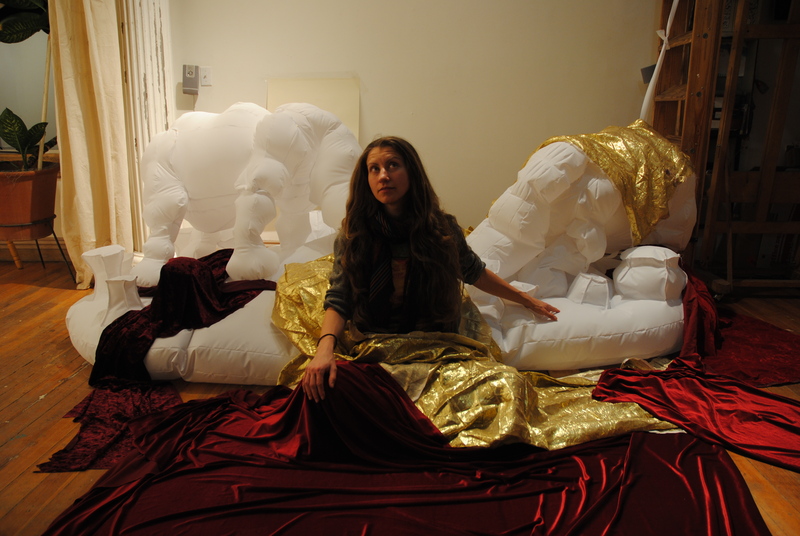 With the rhinos fighting among velvet. 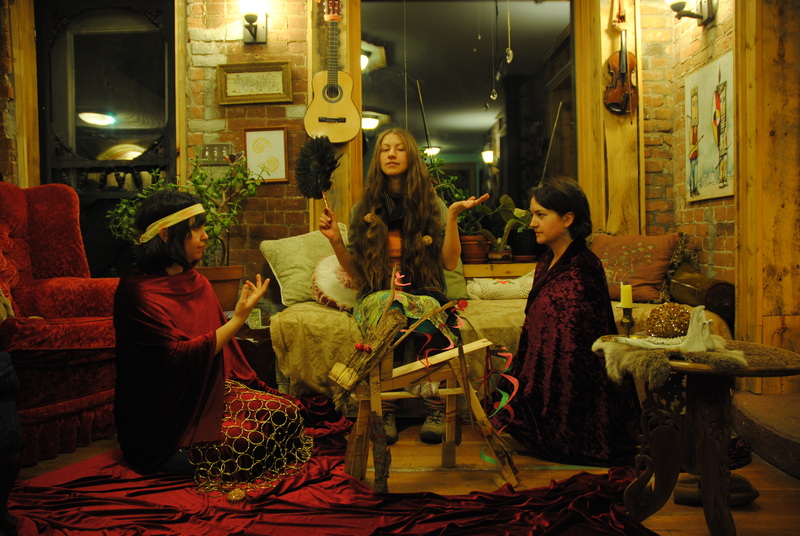 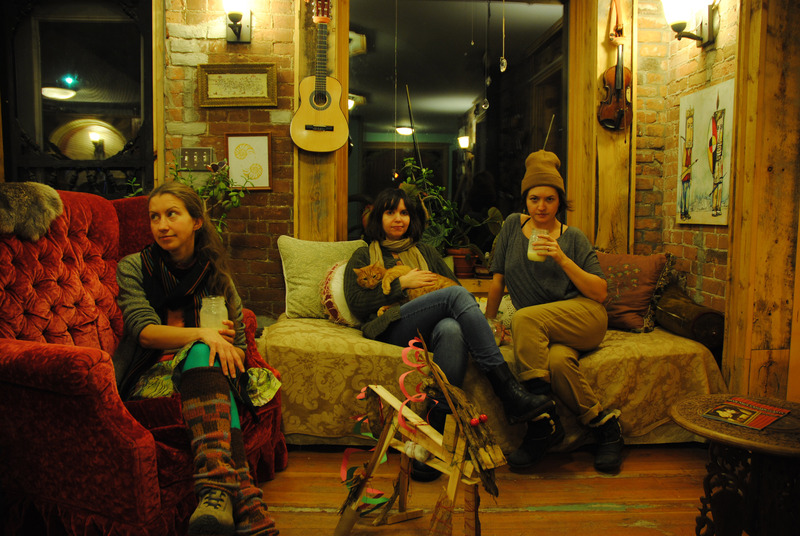 Myself with my beautiful fellow artists in residence (Carrie Naughton and Landon Newton) at Elsewhere studios. 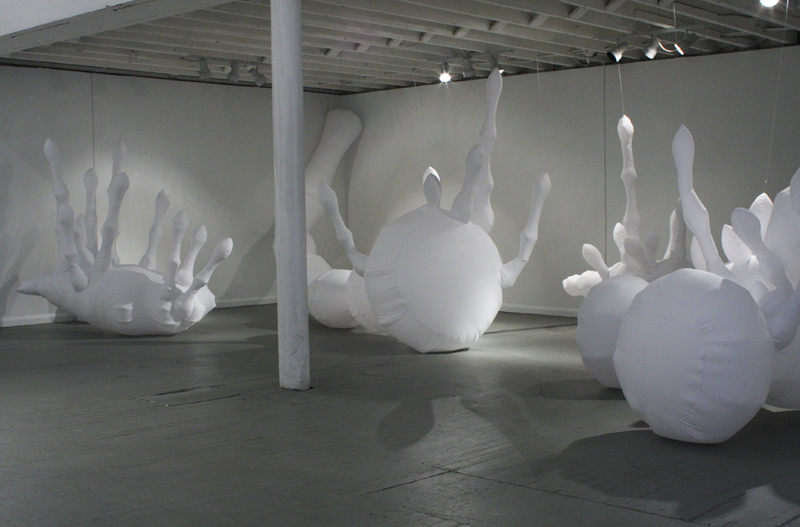 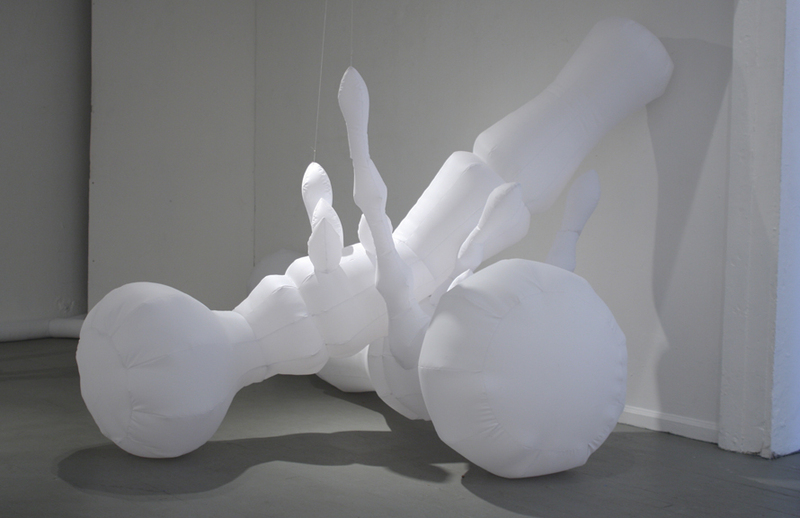 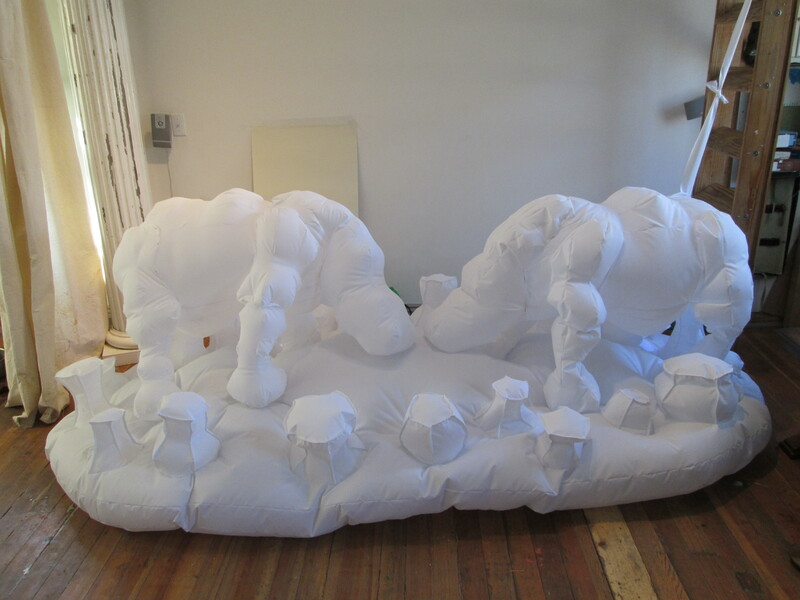 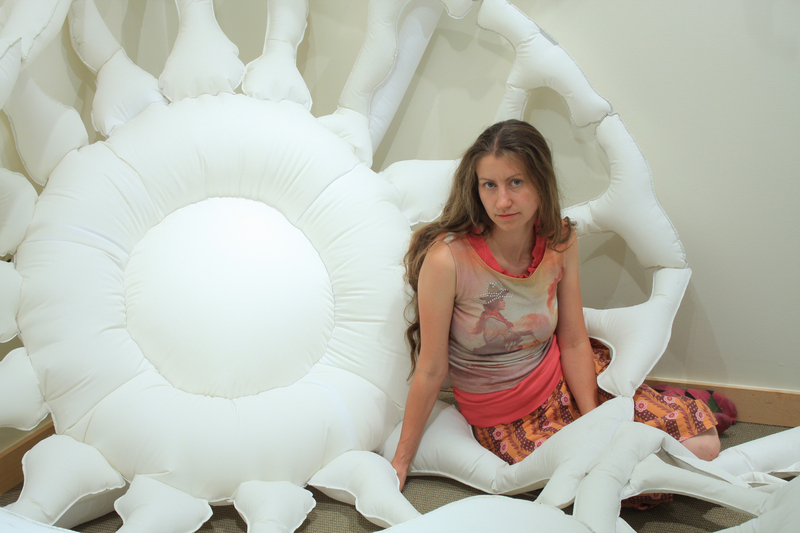 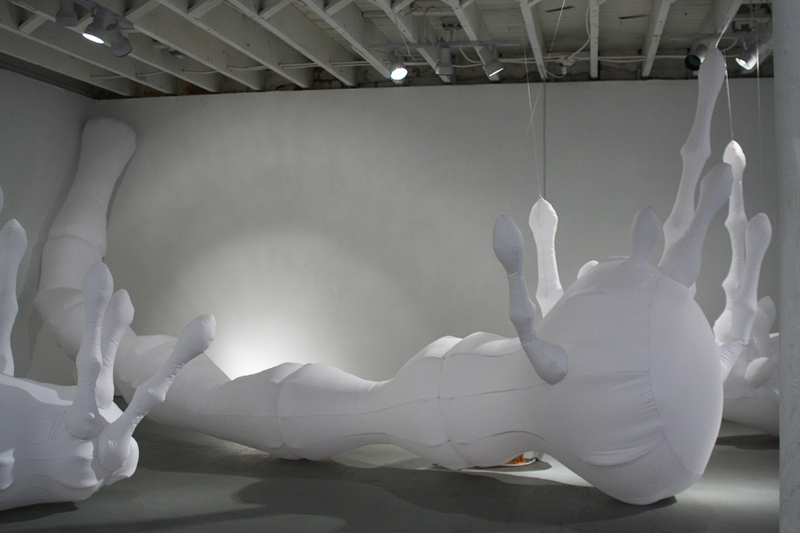 Inflatable Installation at Pirate Gallery. 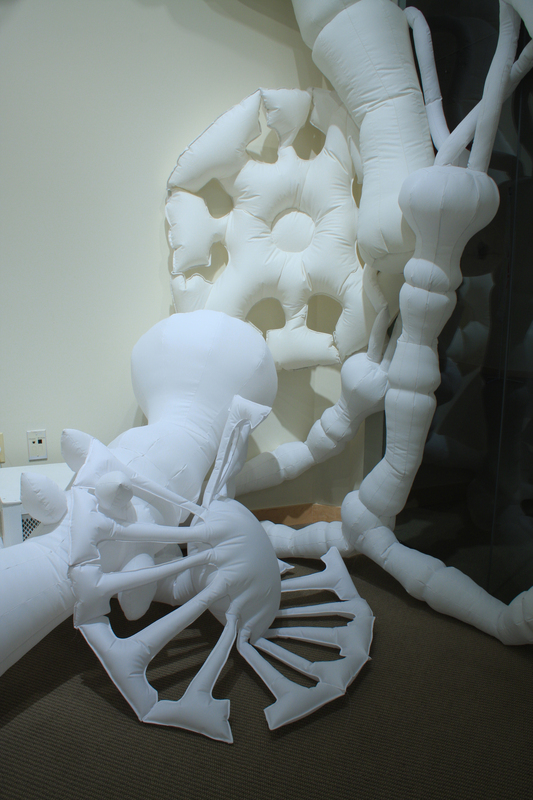 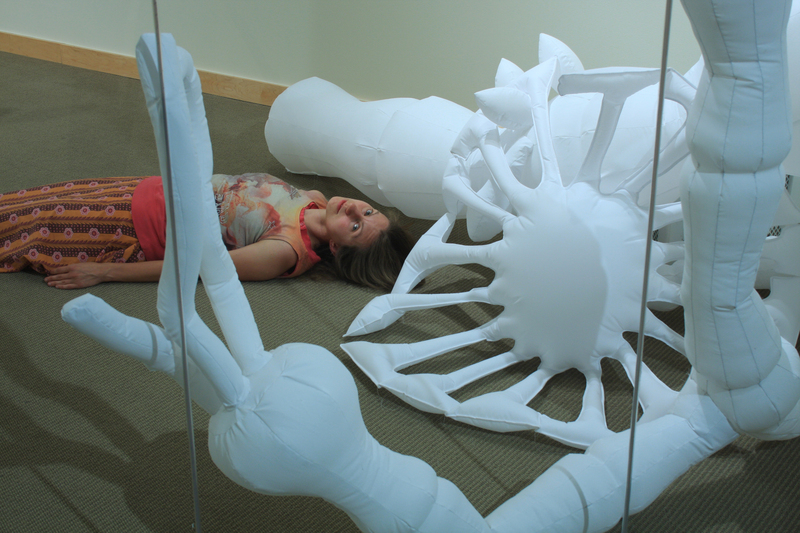 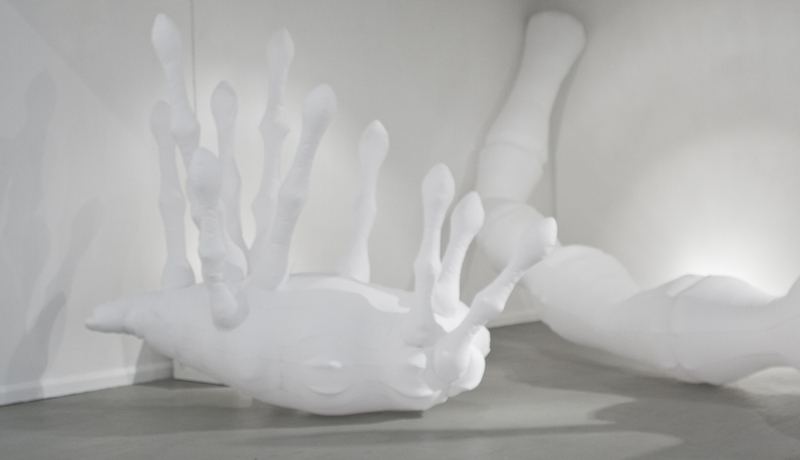 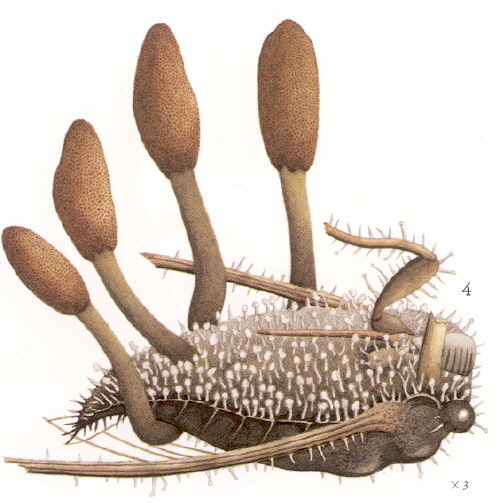 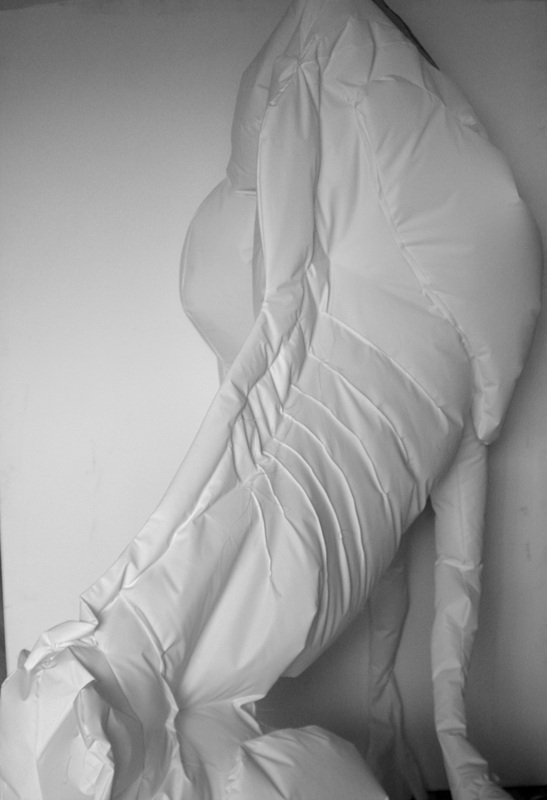 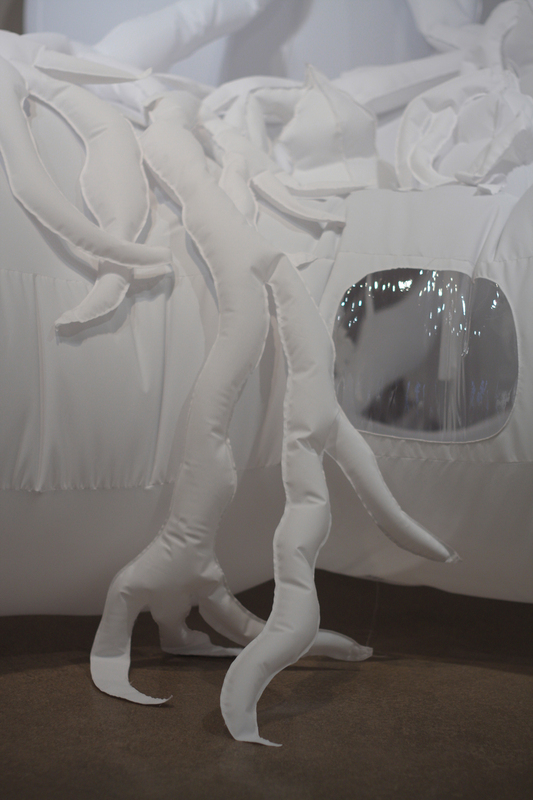 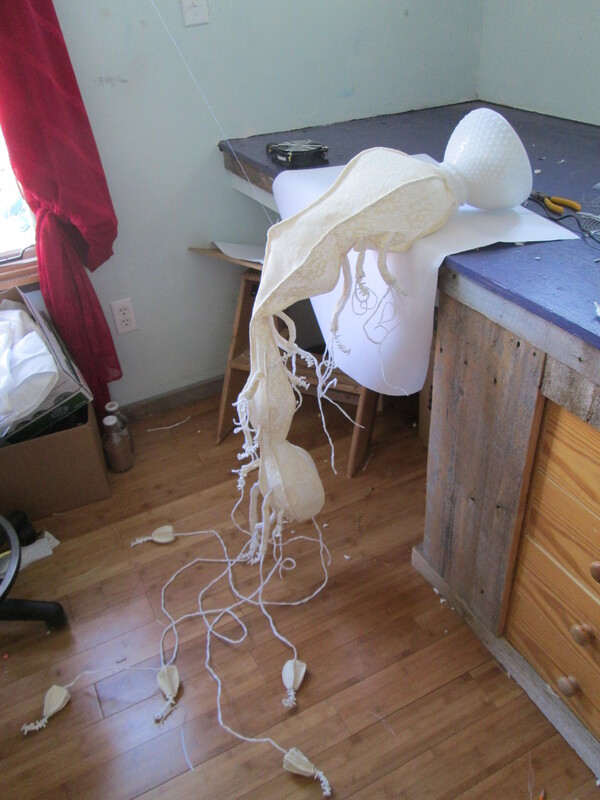 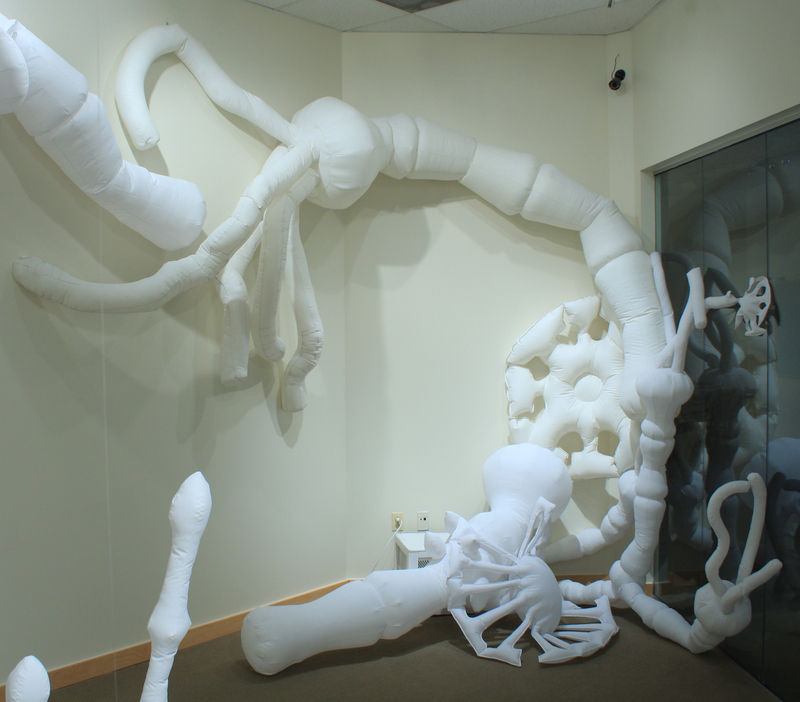 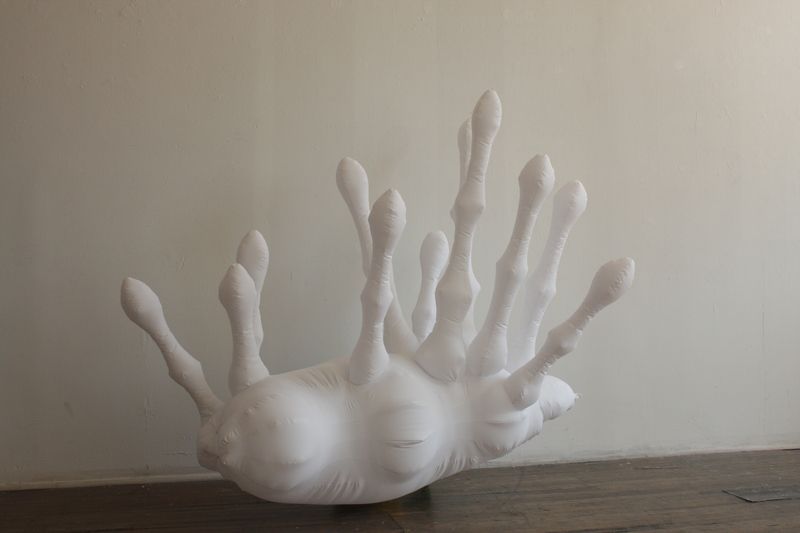 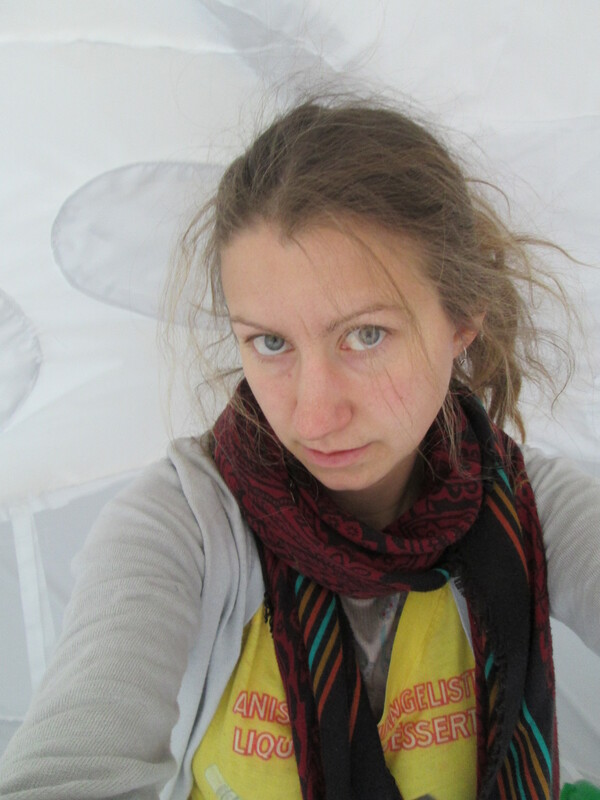 This inflatable was inspired by this illustration of a true bug with Cordyceps. 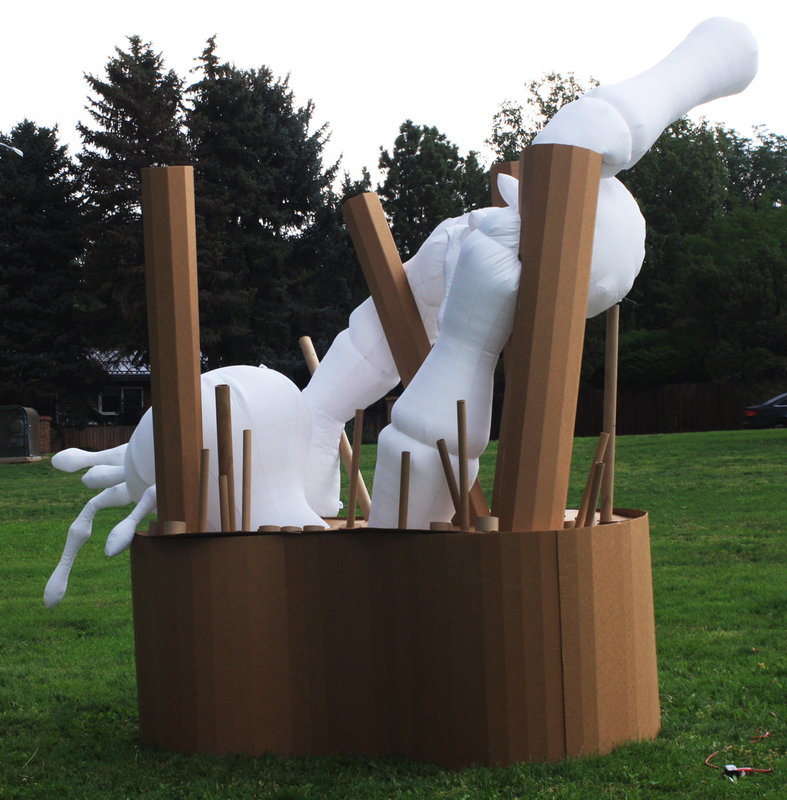 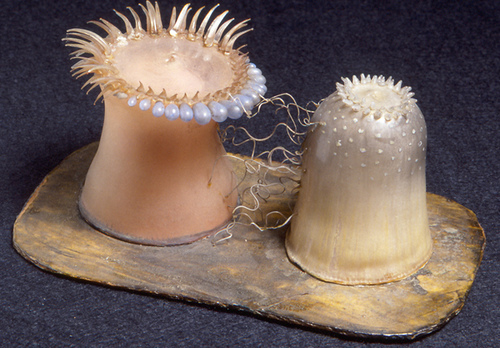 As part of the Biennial of the Americas in Denver 2013. 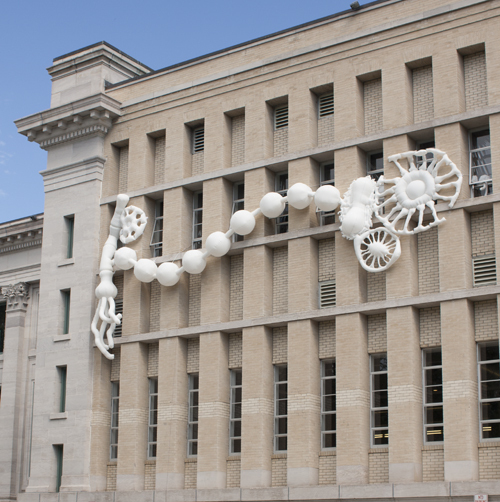 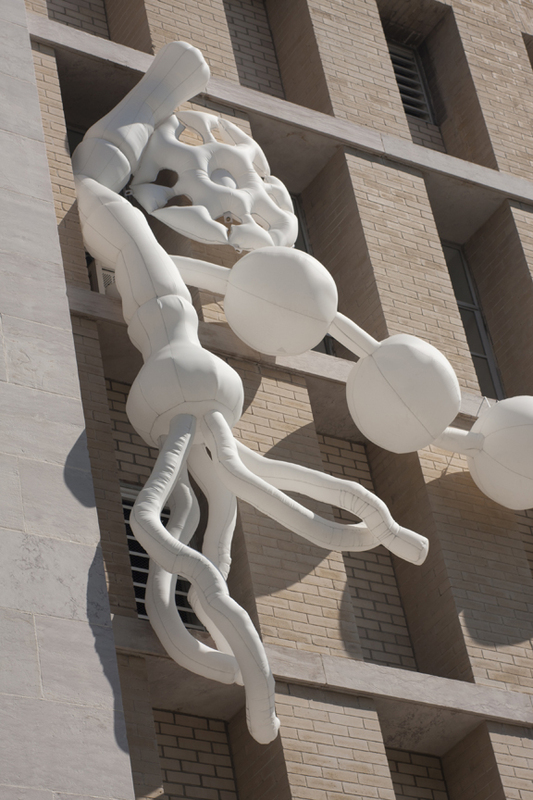 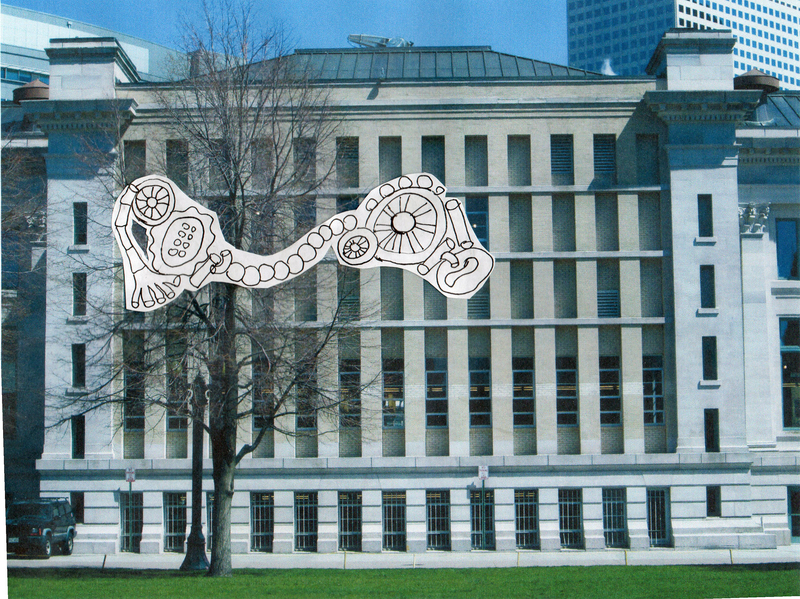 Installed on the back side of the Mcnichols Building in Civic Center Park. 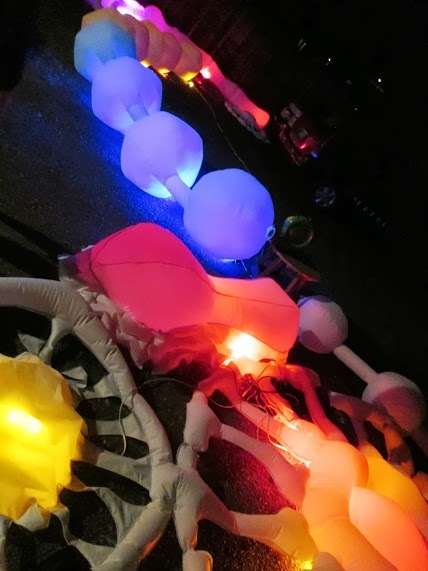 Testing the lights on the ground. 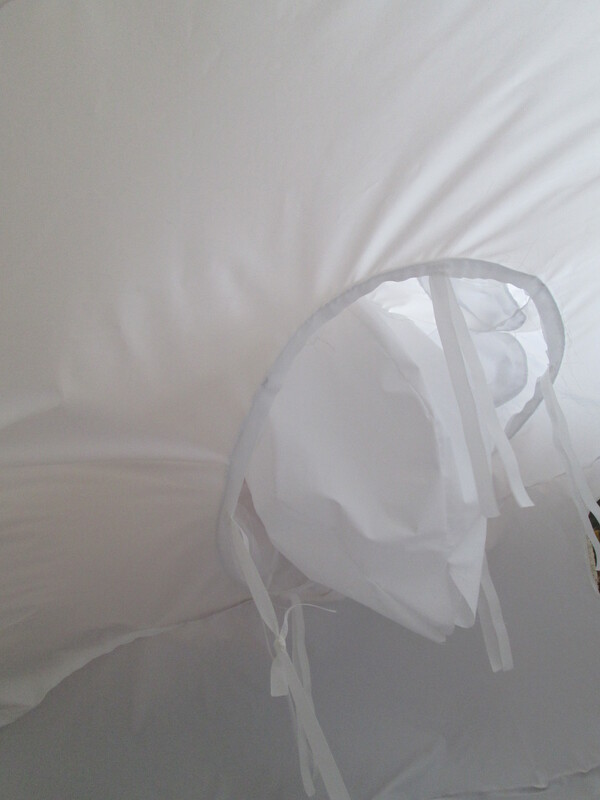 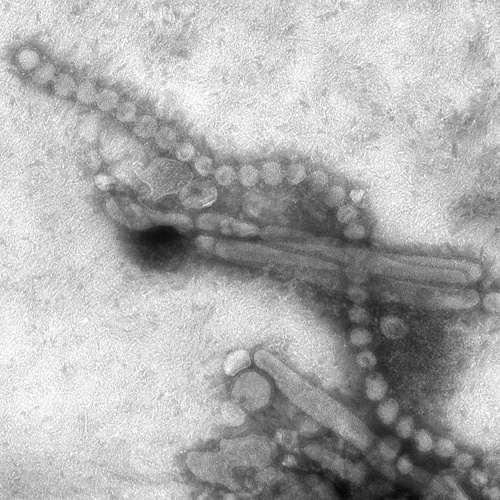 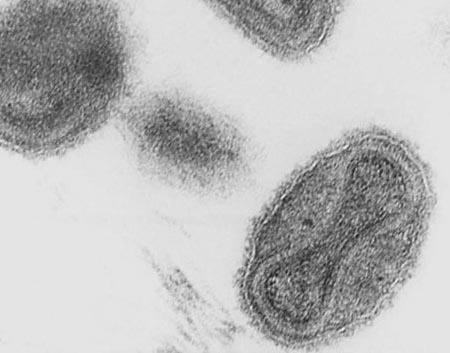 Testing the stomach bacteria on my roof. 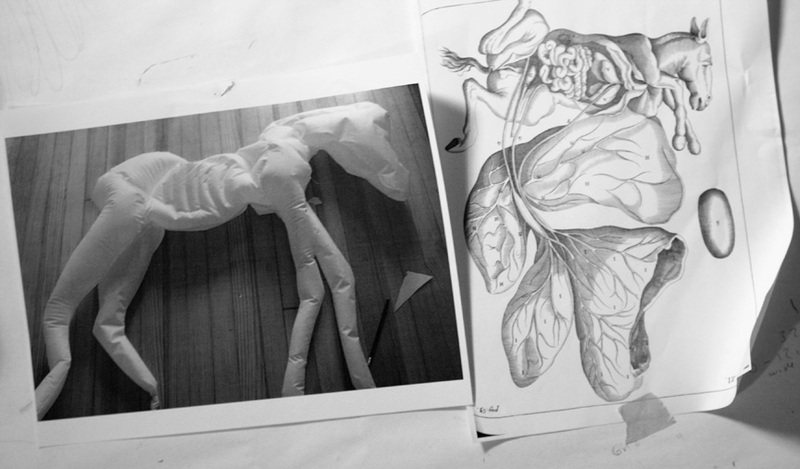 Original drawing of the piece. 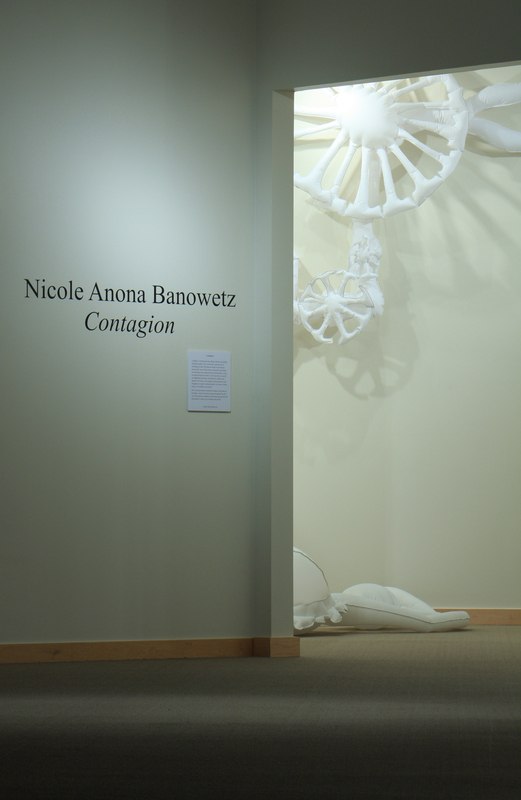 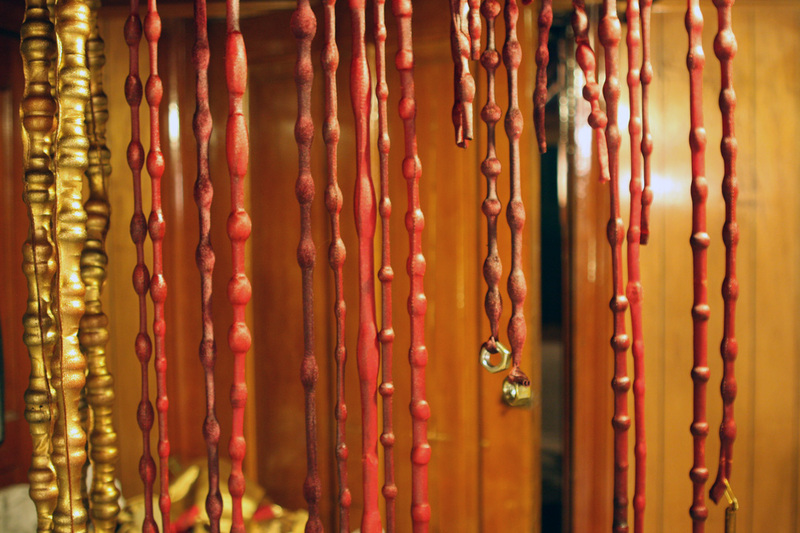 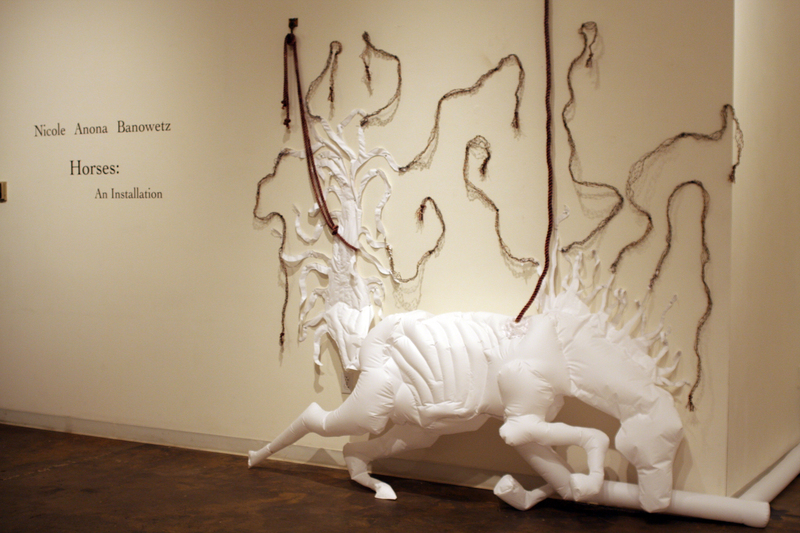 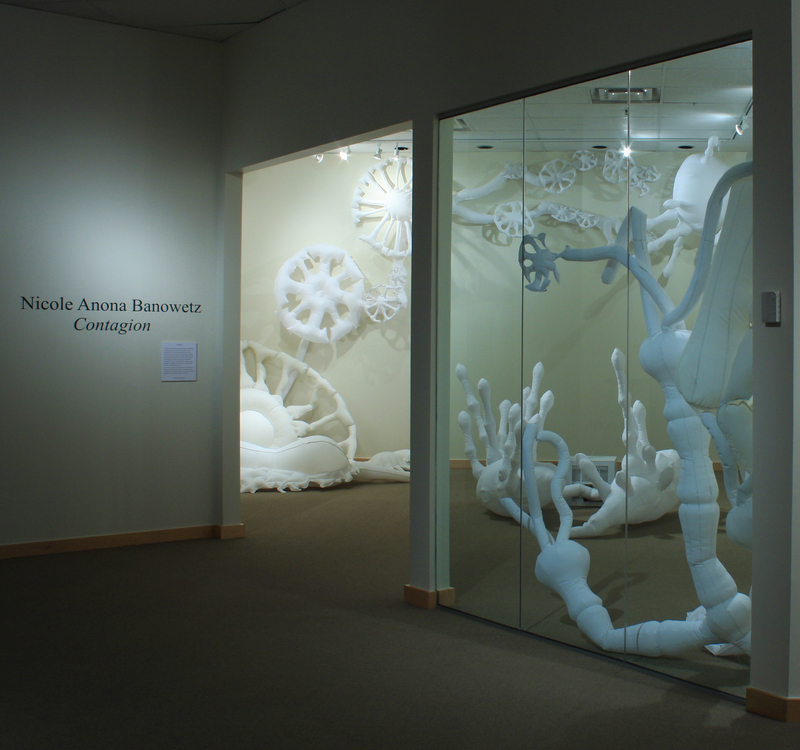 Ironton is proud to be hosting Nicole Banowetz for her first solo show in Denver. 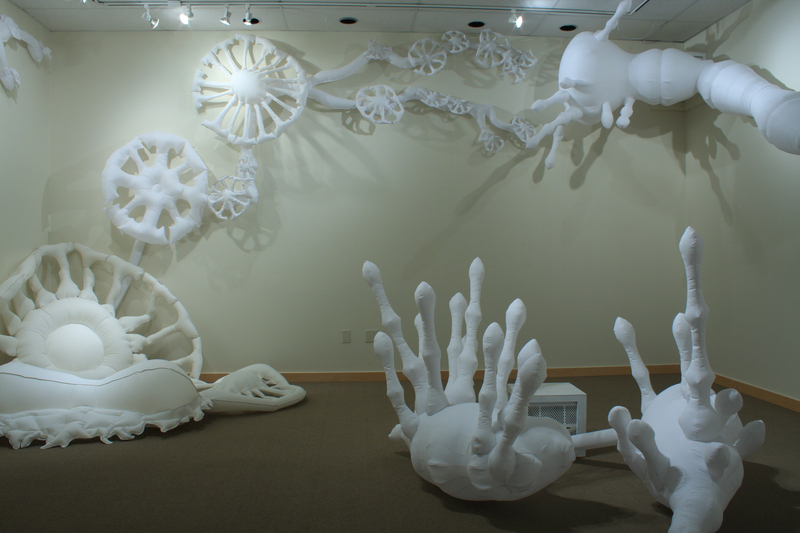 This is the inaugural exhibit of Ironton’s sponsored ‘Introductions’ series for artists under 30. 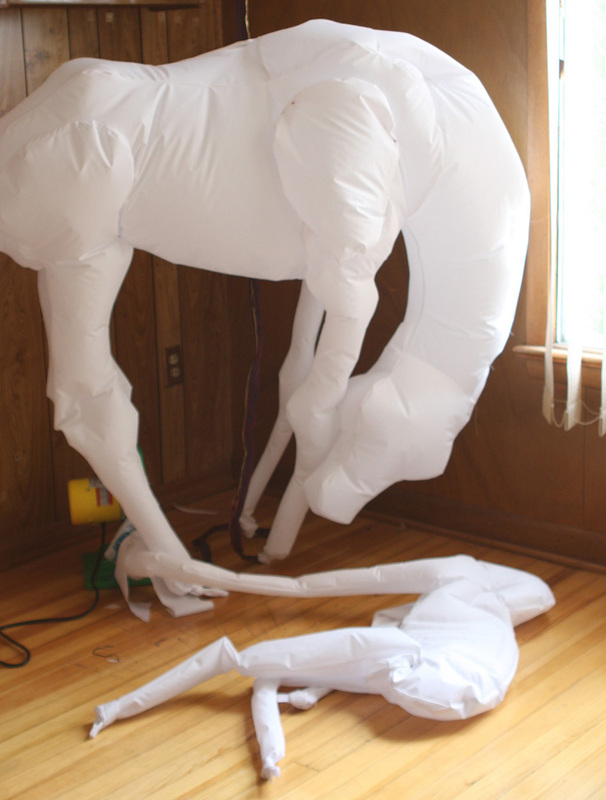 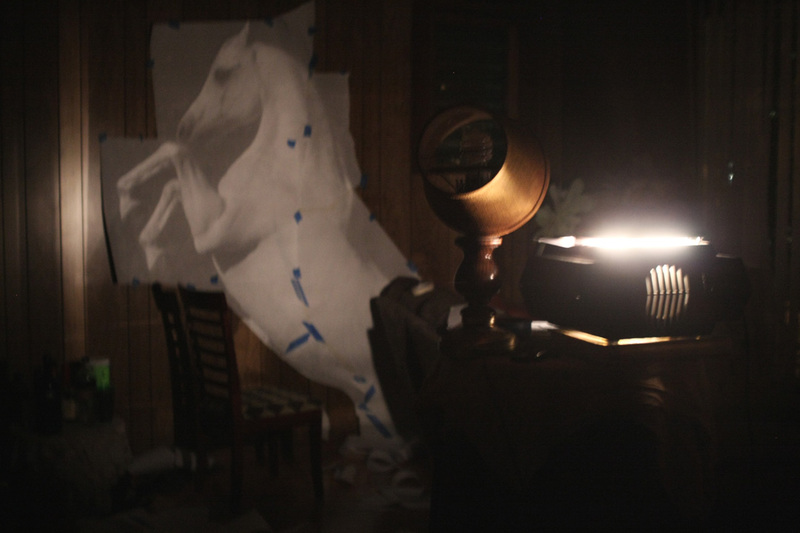 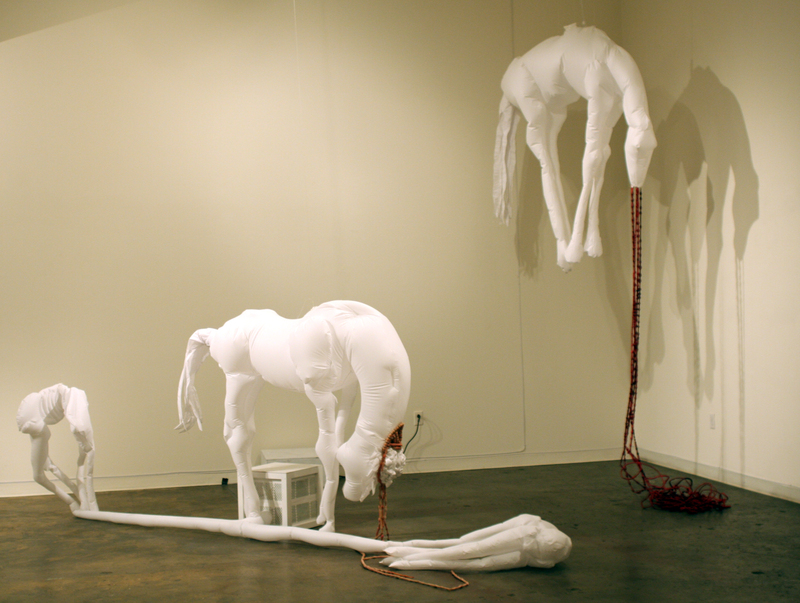 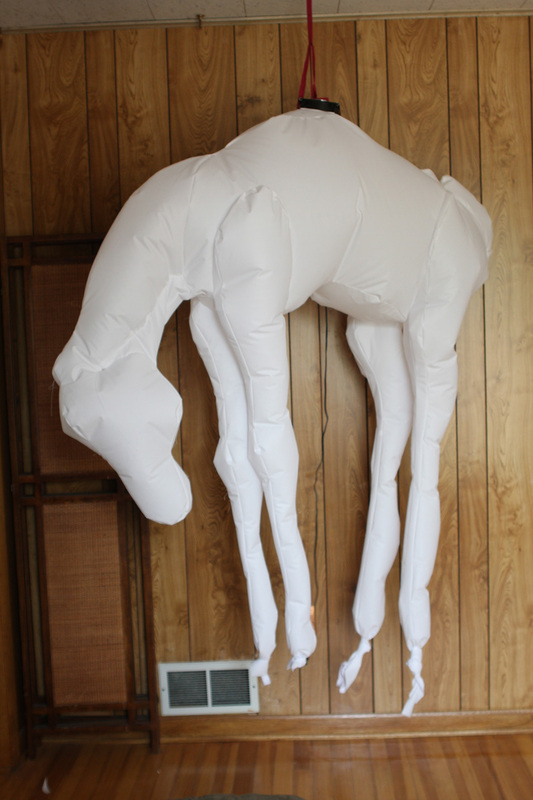 The gallery will be transformed into a stable of sewn horses, inflating and deflating against the weight of bridles and ties. 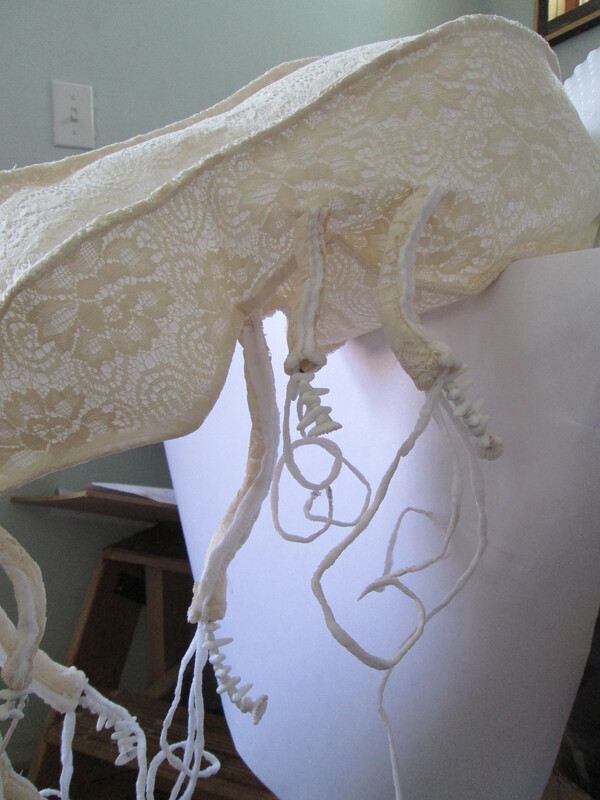 These binding features will pinch, pucker and deform the struggling horse forms. 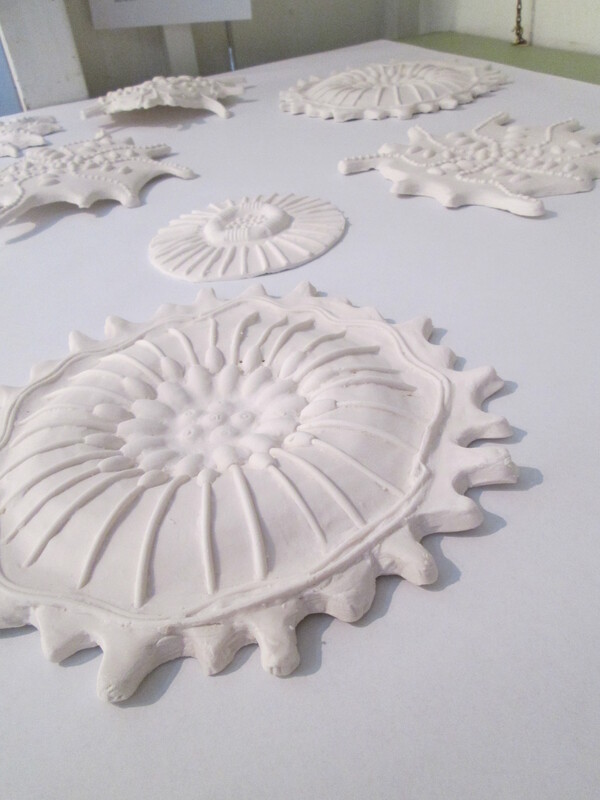 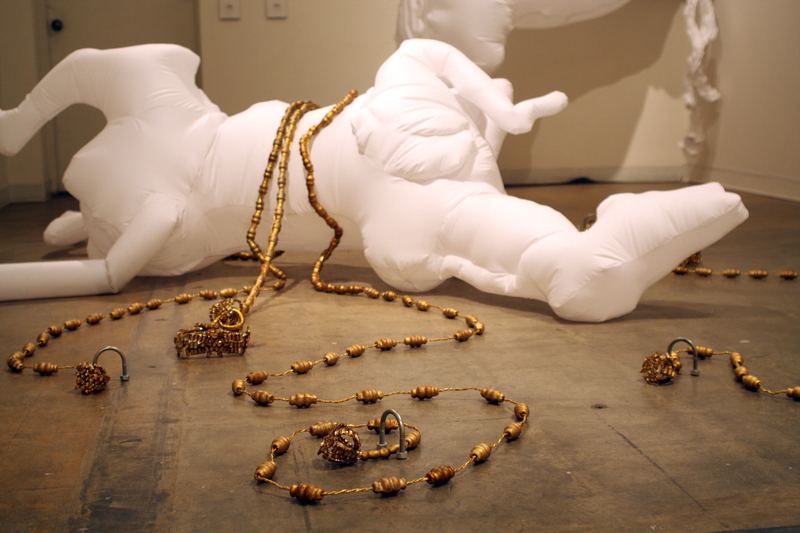 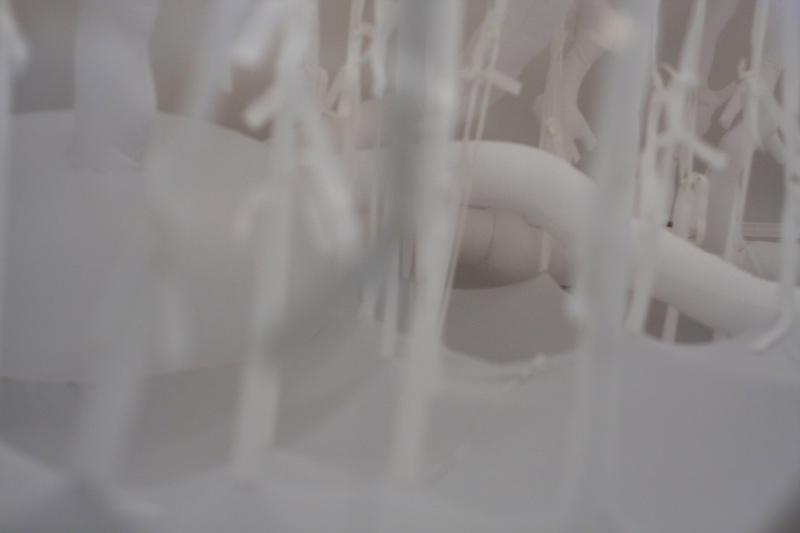 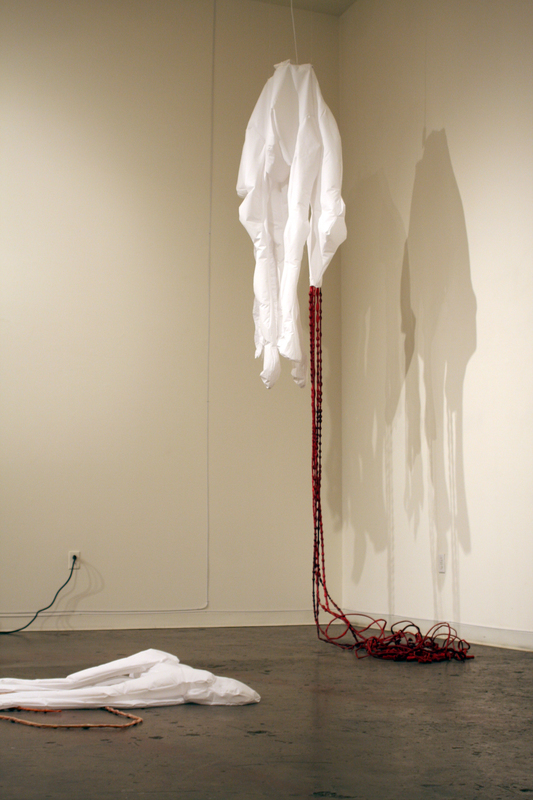 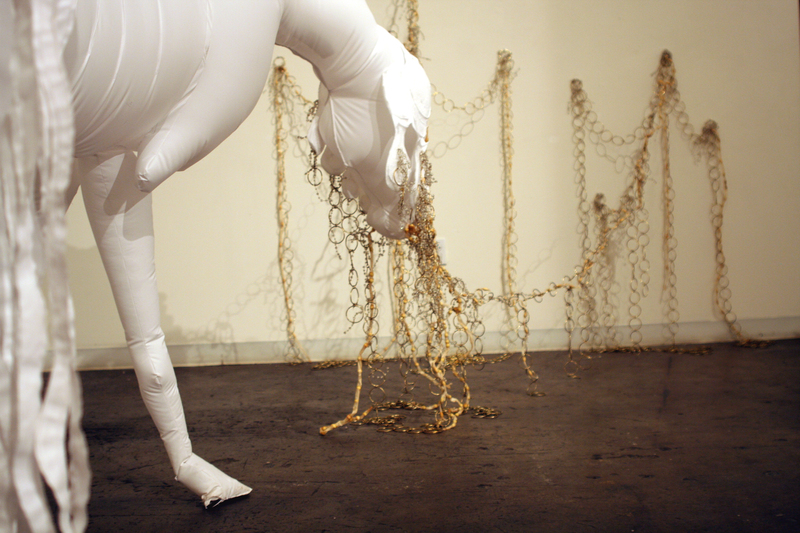 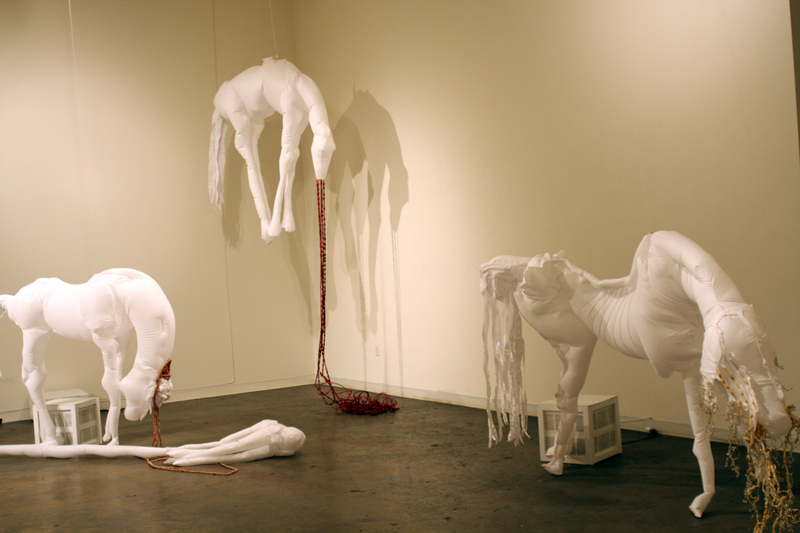 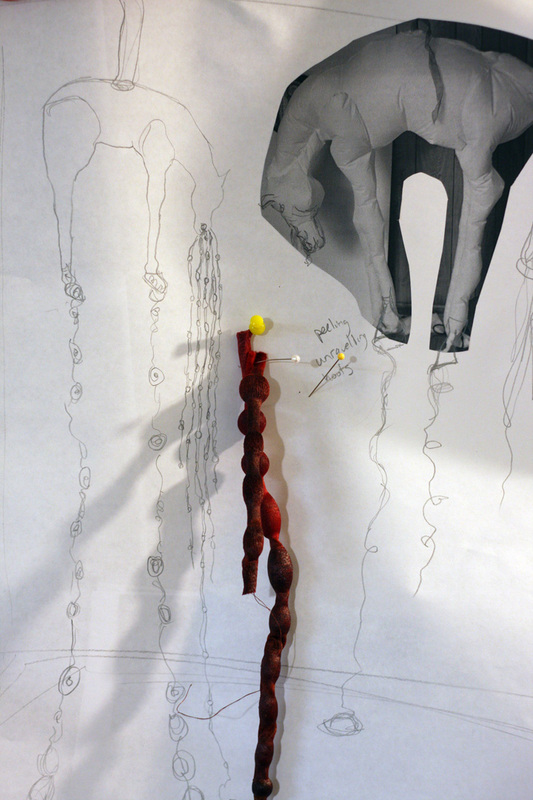 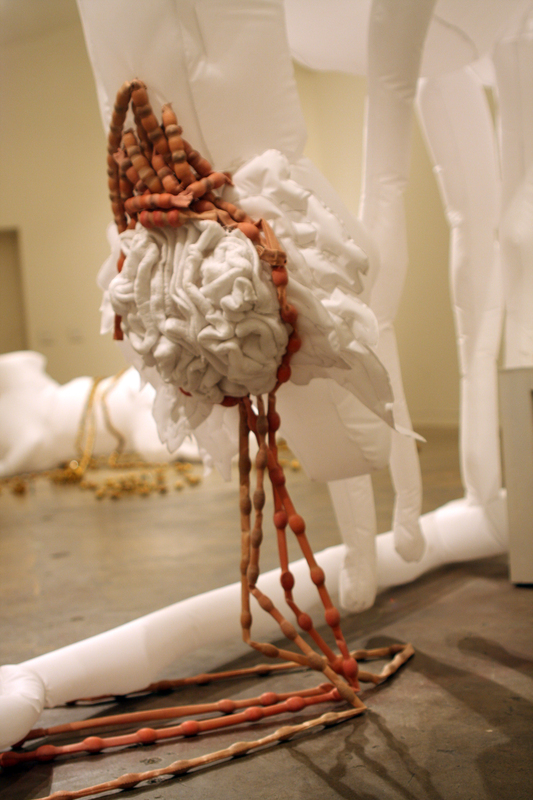 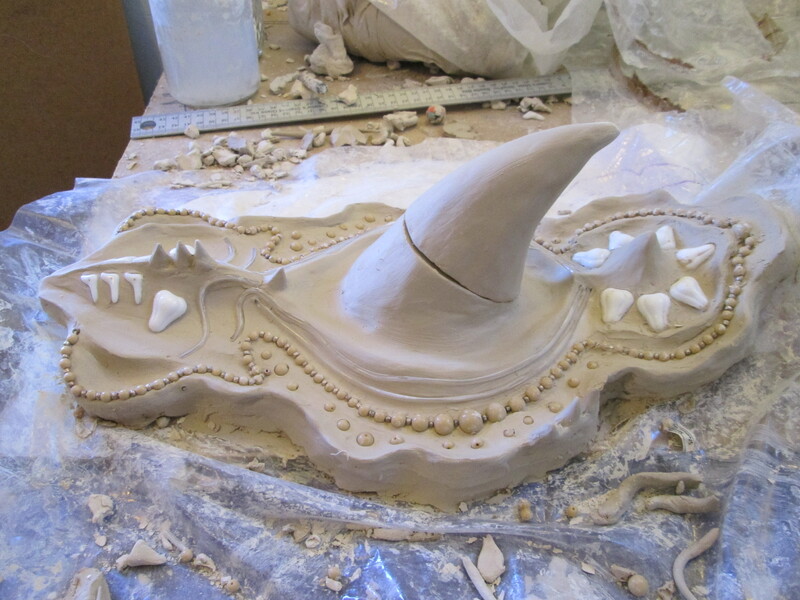 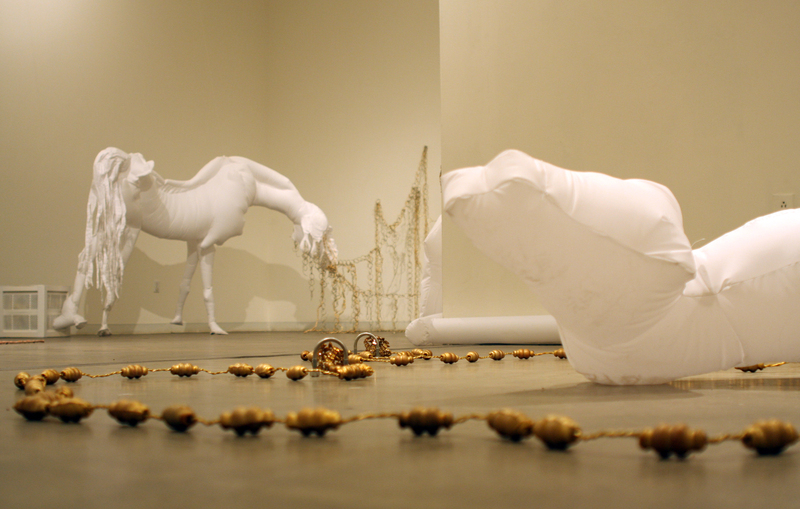 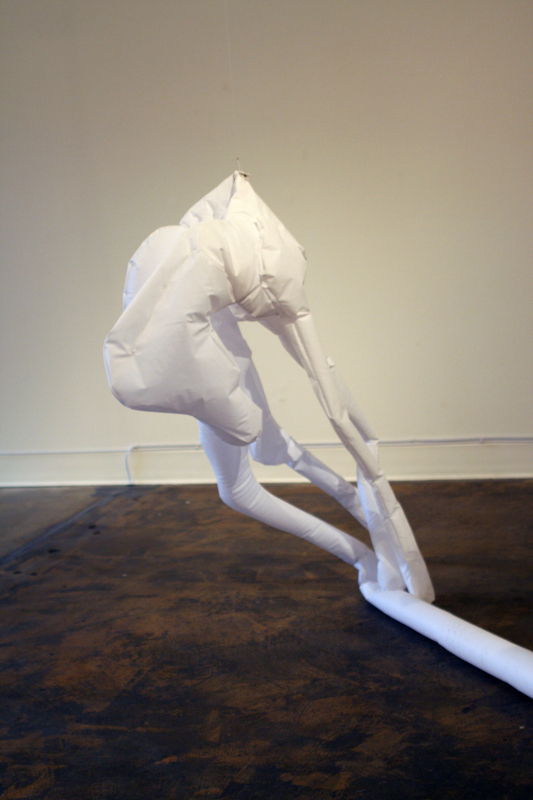 Through this work the artist discusses vulnerability and the challenges faced in overcoming it.